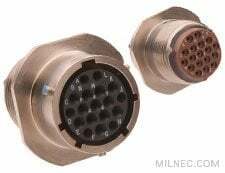 The BM Series of connectors is built to MIL-C-26482 / MIL-DTL-26482 Series 2 standards and will meet or exceed all of the specifications for performance and durability. 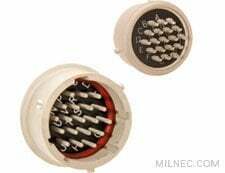 The connectors feature advanced bayonet coupling, crimp contacts, and 32 high-density insert arrangements for design flexibility. 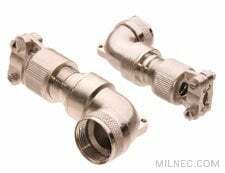 The BM series provides many connector shell styles unavailable in the mil-spec, including specialized thru-bulkhead and hermetic receptacles. 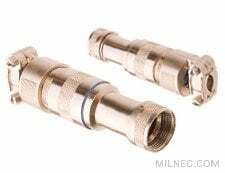 For demanding applications requiring IP67 protection in a high-density, high-reliability, ruggedized crimp connector with the ease of quick-disconnect coupling, the BM Series provides a complete solution. Drop in replacement for MIL-DTL-26482 Amphenol. 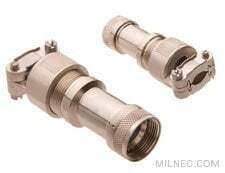 For additional help in specifying your 26482 connector solution, please contact a Milnec sales professional, or your authorized distributor for technical and sales support. This MS3476 type straight plug has the option of grounding fingers that provide superior shell-to-shell conductivity for shielded applications. Coupling is achieved with a quick 1/3 turn. Tactile, audible, and visual cues signal complete coupling. 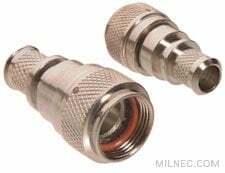 It is compatible with all MIL-26482 Series 2 receptacles. The BM00 (MS3470 type) wall mount receptacle features a four hole flange for panel mounting. Accessory threads on the rear of the connector enable the use of backshells. A cover is recommended to protect contacts when the receptacle is not in use. With its single mounting hole and integrated O-ring, the MS3474 type jam nut receptacle is preferred for applications that are subject to environmental hazards. A dust cover is recommended to protect contacts when not in use. The MS3471 style in-line or cable mount receptacle is designed for extension cord applications. 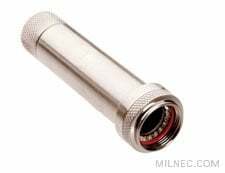 A round flange protects the connector from damage when dragged or dropped. A backshell is required for strain relief, and a protective cover is recommended to protect contacts from damage when the receptacle is not in use. 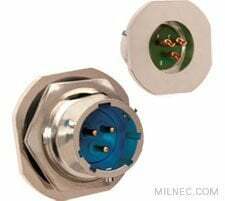 This connector has receptacles on both sides of the shell, allowing cable plugs to connect from both sides. The long side of the shell features socket contacts, the short side pin contacts. 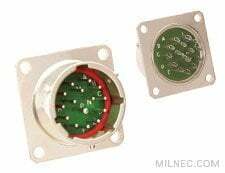 It is compatible with all MIL-26482 Series 2 receptacles. A mounting bracket and gasket are recommended. MIL-26482 compatible hermetic receptacles are made from high-strength carbon steel and glass inserts to create a true airtight seal. The low-profile rear design does not permit the use of a backshell. 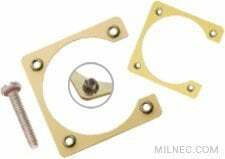 A gasket and mounting bracket with sealing screws are recommended for a reliable hermetic seal. 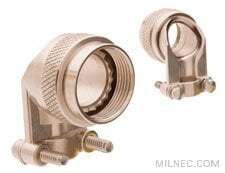 Jam nut receptacles are preferred for hermetic MIL-26482 applications because of their single mounting hole design and integrated O-ring. A protective cover is recommended when the connector is not in use. The low-profile rear design does not permit the use of a backshell. 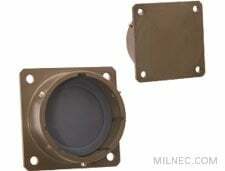 MIL-26482 style hermetic solder mount receptacles are made with the smallest mounting footprint available. The compact design is useful when soldering in high densities to a panel or mounting to compact probes or sensors. The low-profile rear design does not permit the use of a backshell. This basic backshell protects contacts by providing strain relief from the cable or wire bundle. The self-locking option is recommend for high-vibration applications. Upgrade to an environmental backshell for elemental protection. 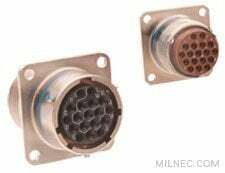 Compatible with all MIL-26482 Series 2 connectors. Angled strain relief offers simple cable management in tight spaces. The self-locking option is recommend for high-vibration applications. Strain relief backshells should only be used for environmentally protected applications. 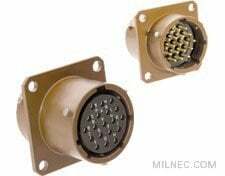 Compatible with all MIL-26482 Series 2 connectors. 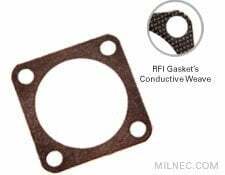 MIL-26482 compatible environmental backshells provide environmental protection from water, dirt, dust, and moisture by sealing against the cable jacket. A clamp on the back of the shell provides strain relief from cable strain. Upgrade to EMI/RFI environmental backshells for shielded applications. Angled environmental backshells offer protection from harsh environments along wth simple cable management. Upgrade to EMI/RFI environmental backshells for shielded applications. 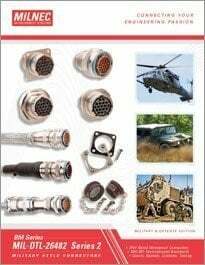 Compatible with all MIL-26482 Series 2 connectors. Get environmental protection, strain relief, and cable management with this MIL-26482 compatible backshell. Upgrade to EMI/RFI environmental backshells for shielded applications. 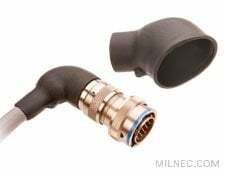 EMI/RFI environmental backshells provide strain relief, environmental sealing, and 360° shield termination hardware for MIL-26482 connectors. They provide the ultimate in protection for all mission-critical designs. Internal hardware in this backshell provides 360° EMI/RFI shield termination. The 45° angle helps to direct cables along panels that are hard to reach or that contain multiple connectors. 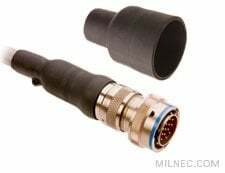 Compatible with all MIL-26482 Series 2 connectors. This MIL-26482 backshell features a right angle for simple cable management. Sealing glands provide environmental protection, while a cable clamp offers relief from cable strain. Internal hardware offers complete 360° shield termination for EMI/RFI protection. The shorting cap backshell provides a simple solution for testing MIL-DTL-26482 connector applications and system reliability. A 90° shrink boot offers simple cable management, strain relief, and environmental protection. Must be used with a boot adapter. See data sheet for complete sizing information. This adapter is specifically designed to provide shrink boots with a grooved platform for superior grip and environmental sealing. The design allows for unscrewing of the connector for field inspection without having to remove the shrink boot. 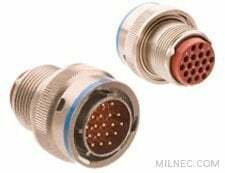 Compatible with all MIL-26482 Series 2 connectors. The EMI/RFI banding boot adapter provides effective shield termination for MIL-26482 applications using a shrink boot. 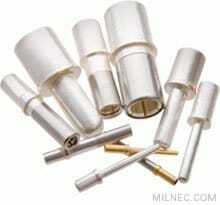 Shielding is achieved with a band applied by a simple hand tool over a specially designed platform. The overlaying boot ensures strain relief and environmental protection. 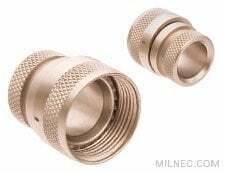 Unmated MIL-26482 connectors should always be paired with protective covers to environmentally seal and protect the contacts from impact or damage. Covers also keep dirt and debris from the coupling mechanism, ensuring reliable mating every time. Keep MIL-26482 style connectors safe and at the ready by using dummy receptacles to provide a safe place to stow and organize your unused cables. Protective covers are recommended to keep unused stowage receptacles clean and dry. Mounting gaskets will seal the mounting space between the receptacles and the panel to maintain the environmental integrity of your enclosure. They can be used in either rear or front mount receptacle installations. 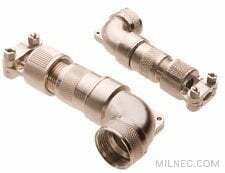 Compatible with all MIL-26482 Series 2 flange-mounted connectors. Mounting brackets with captive stainless steel locking nuts prevent loose fasteners from falling into susceptible areas, which may cause equipment failure, while also strengthening the installation location. Optional sealing screws with O-rings will effectively seal the mounting holes on your enclosure from water ingress. 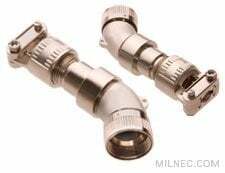 Get a PC tail contact solution for MIL-DTL-26482 Series 2 style connectors quickly and easily by ordering a Milnec BM Series connector preloaded with reliable PCB contacts. 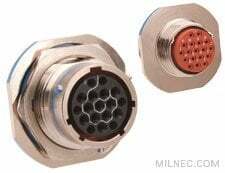 PC tail contacts offer a number of design advantages by permitting the use of ruggedized connectors directly mounted to the PC board of sophisticated electronics without the use of pigtails or bulky terminal blocks. 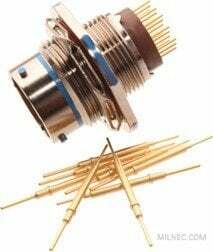 BM Series contacts are machined from copper alloy and are gold plated for the highest electrical continuity and corrosion resistance. The series offers contacts in sizes #12, #16, and #20, which are suitable for MIL-26482 connectors using 12-24 AWG wire and are rated for up to 23 amps. In addition, thermocouples are available in sizes #16 and #20. 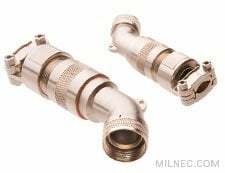 Sealing plugs are required for open positions in any connector to maintain reliable environmental protection. 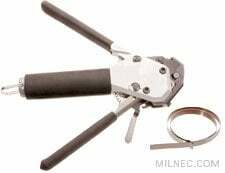 The TK101 precision crimp tool enables termination of contacts from #12 to #20. 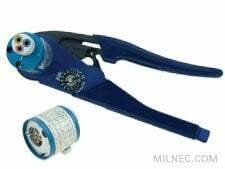 The tool features an eight impression crimp, which ensures maximum tensile strength between wire and contact. The cycle controlled ratchet is consistent and accurate and does not permit half crimps, ensuring complete and precise crimping every time. 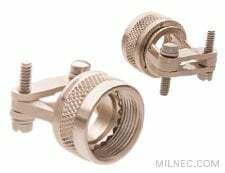 Plastic contact insertion and removal tools come with every Milnec mil-spec connector for quick and convenient connector repair in the field. However, some applications demand more durable and precise tooling. Our stainless steel contact insertion and removal tools are the best option for production environments where higher tool reliability is required.